You are here: Home / Contests / Enter To Win A Back To School Quo Makeup Kit! Enter To Win A Back To School Quo Makeup Kit! This contest is now closed. Thank you so much for entering. Back-to-School needn’t mean doom and gloom for kids and parents alike. Brighten up your back to school routine with Quo’s Limited Edition Back To School Collection. 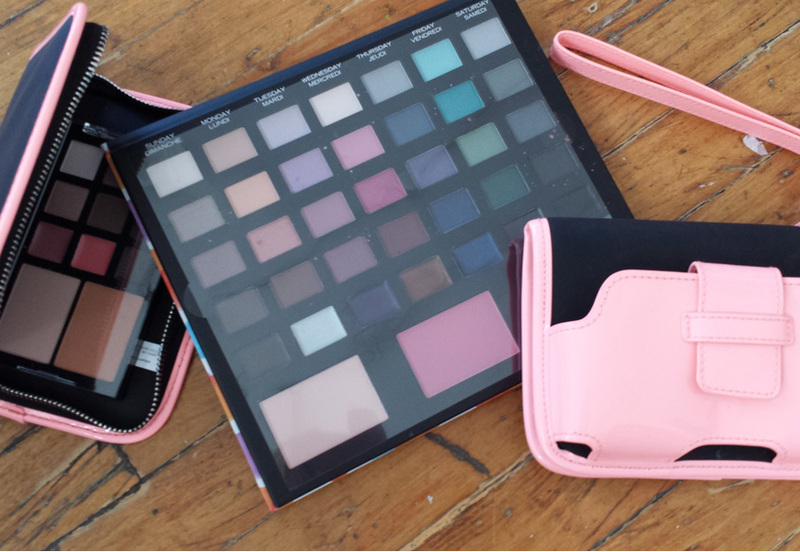 The kit features a Daily Beauty Palette (RRP $42) with 28 eyeshadows, 7 eyeliners and 3 blush shades; a sleek black zip case Taking Notes Beauty Palette (RRP $32); and a patent pink Hall Monitor Clutch (RRP $22) with card slots, phone holder and removable strap. Well, you might as well get organised in style for September! Competition ends August 26 at 12 pm. Thanks for the chance and my daughter would sure love this going back to college. Yes, my granddaughter would love this to go back to school with. Great contest. I can not get to the rules, is this a daily or one time entry? Thanks for the chance! My daughter would love this!